Former top-level FBI lawyer Lisa Page was a no-show for her July 11 closed-door testimony to Congress overseers. Her lawyer, Amy Jeffress, said the lawmakers issued the subpoena too late, putting Page at a disadvantage. But there was another, serious disadvantage she would have faced if she had shown up—one of legal jeopardy. Jeffress said that the House intelligence and oversight committees only issued the subpoena on July 7, giving Page less than a week to familiarize herself with documents that the FBI gave Congress related to the testimony. Judiciary committee chair Bob Goodlatte (R-Va.) didn’t buy it. Indeed, as early as Dec. 19, Goodlatte and oversight committee chair Trey Gowdy (R-S.C.) sent a letter to Attorney General Jeff Sessions and his deputy, Rod Rosenstein, asking the Justice Department to make Page available for an interview. Jeffress also wanted the committees to “explain the scope of the investigation,” but Goodlatte and Gowdy had done so in October. There was, however, one crucial document Page lacked before her planned appearance—the testimony of FBI agent Peter Strzok. Page and Strzok had an extramarital affair. The two exchanged thousands of text messages, expressing in many of them a strong bias against then-candidate Donald Trump and in favor of his opponent, Hillary Clinton, while the couple played major roles in FBI investigations of both candidates during the 2016 presidential election. Strzok was the lead agent on both the probe of Clinton’s mishandling of classified information and the counterintelligence investigation of alleged ties between the Trump campaign and Russia. Page was the special counsel to former FBI Deputy Director Andrew McCabe. While the report didn’t connect Page’s and Strzok’s biases with specific actions in the Clinton probe, the IG is still working on a separate report regarding the Russia investigation. Strzok was questioned by Goodlatte’s and Gowdy’s committees for 11 hours behind closed doors on June 27. It appears neither Page nor Strzok have had access to a transcript of the deposition. “Fair play and decency dictate that the witness should have the same access to the materials that the committee grants itself,” Strzok’s lawyer, Aitan Goelman, stated in a letter to Goodlatte, asking for the release of the transcript, The Daily Caller reported. That means Page couldn’t use the transcript to make sure her July 11 testimony would match Strzok’s. If their testimonies were to diverge, that could potentially expose them to perjury charges for lying under oath. Indeed, Page doesn’t plan to evade testimony altogether. Her lawyer is only asking for a later date. 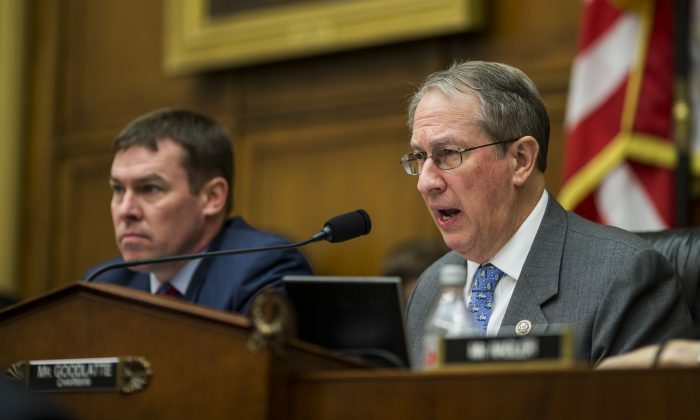 Goodlatte said he will use “all tools at our disposal,” which includes a referral for charges of contempt of Congress, to get Page’s testimony, but could also mean he’ll only reschedule the questioning. To keep Page in the dark about Strzok’s testimony, Goodlatte may also try to postpone Strzok’s appearance. His office didn’t respond to a request for a comment. After the Strzok–Page texts emerged, Strzok was demoted and posted to the FBI’s office of human resources. On June 15, a day after the IG report, he was escorted out of FBI headquarters. Sessions said that Strzok no longer had security clearance. Page quit the FBI in May. Update: The article was updated to clarify what kind of legal jeopardy may Lisa Page and Peter Strzok face in connection with Congress testimonies. Chappell gained a huge YouTube following with a channel dedicated to exposing the truth about China. His foray into American politics is already proving to be a success. His channel, “America Uncovered,” can be found here.